Shopping isn't simply about purchasing products for today's consumers. It's about experiences and whether it provides entertainment value - a learning encounter about a specific product or exploring new flavors for the first time. Grocers have the unique ability to create an engaging experience that makes their store the go-to-place for what shoppers crave. In-Store sampling is a great way to engage with customers and create excitement. It's also a store's opportunity to attract shoppers who came in for a few basic items and have them leaving with a bottle of wine they just sampled. That is why retailers have made it an integral part of their marketing strategy. 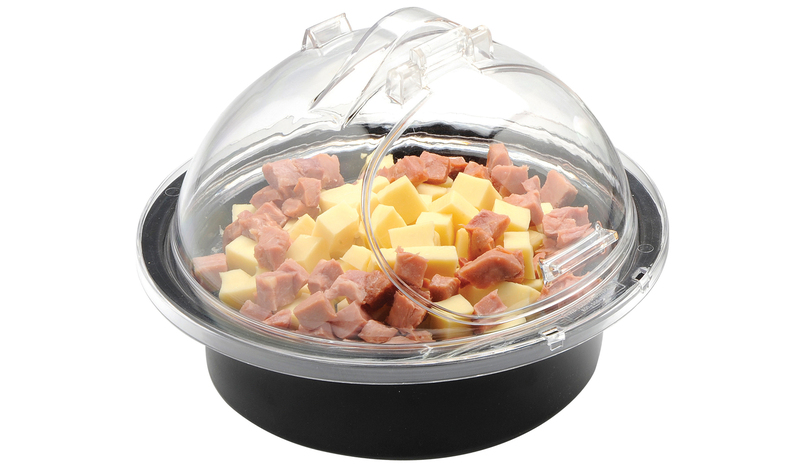 From baked goods to deli meats, desserts and cheese, our self-serve sampling trays and domes allow you to attractively merchandise your most popular items while keeping your product fresh and protected. Choose from various sizes and shapes to find the best option suited for the foods you are offering. Many of our demo stands include everything necessary for convenient, hassle-free sampling, including napkin holders, toothpick dispensers, waste receptacles and sign holders. 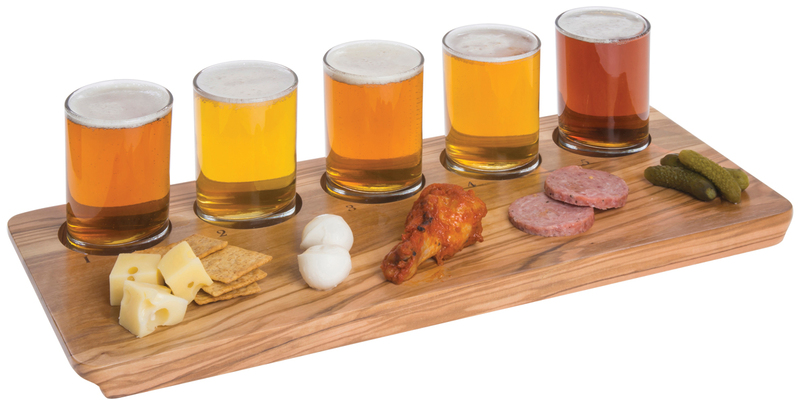 Using sampling trays to offer samples to customers is a great way to pique interest and stimulate their taste buds. But sampling trays alone fail to appeal directly to shoppers' other senses. The feel of bread still warm from the oven, the aroma of meat grilling — these sensory experiences are potent emotional triggers. They conjure pleasant memories of a special meal or cherished holiday gathering. Once stimulated, shoppers want those feelings to last. Hubert can provide you with the tools you need to do just that. Gone are the days when sampling meant standing silently behind a table handing out samples. To be successful today, demonstrators have to engage the customer in conversation to gain consumer confidence and lower the perceived risk of trying something new. Using a “show and sell” concept creates atmosphere and life within your store. With the wonderful smell of freshly cooked food, the senses are stimulated towards impulse buying. Hubert offers full-service portable demonstration carts, complete with built-in drawers, storage space and heavy-duty casters. 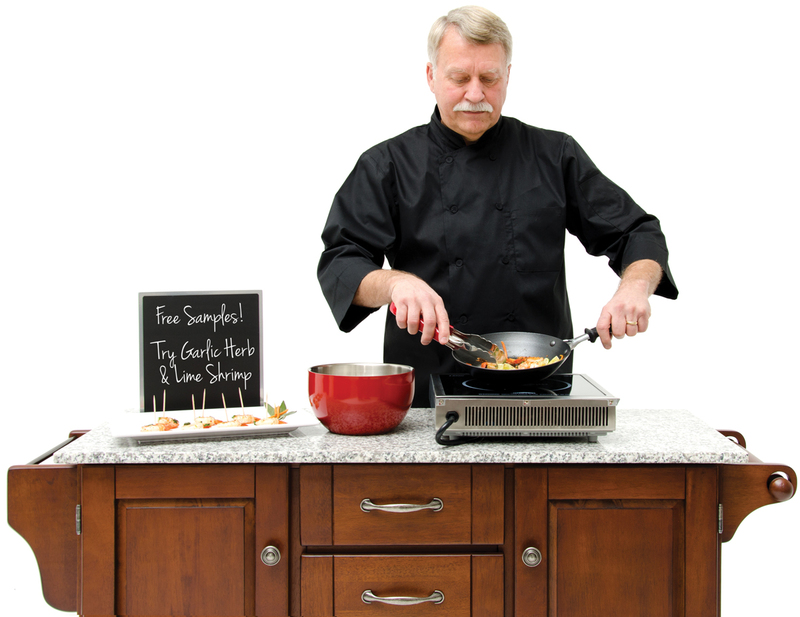 Add an induction range for a complete cooking station that's safe to put in your store aisles. Don't forget the food prep smallwares and cookware you need to execute your finest work. Connect with our market experts to let us know your specific requirements and we'll come up with a sampling solution that fits all your needs. In today's competitive environment, store operators understand the need to create unique experiences for their shoppers. Extending sampling to wine allows shoppers to explore different wine options in advance of purchasing a bottle to enhance their shopping experience. It also provides an opportunity to drive additional purchases, such as cheese or other food pairings in alternate locations of the store. The craft beer business is also booming. Tap into this trend to increase traffic and create a new experience for shoppers. Flights, pints and growlers to go are great options for tasting events, which can create even more buzz. Charcuterie is poised to be a major growth opportunity as consumers reveal their willingness to spend more for better quality specialty meats and cheeses. Give your customers the opportunity to discover new flavors by setting up a charcuterie sampling station. Be sure to offer a solid assortment of cured meats and gourmet cheeses to please a variety of palates. 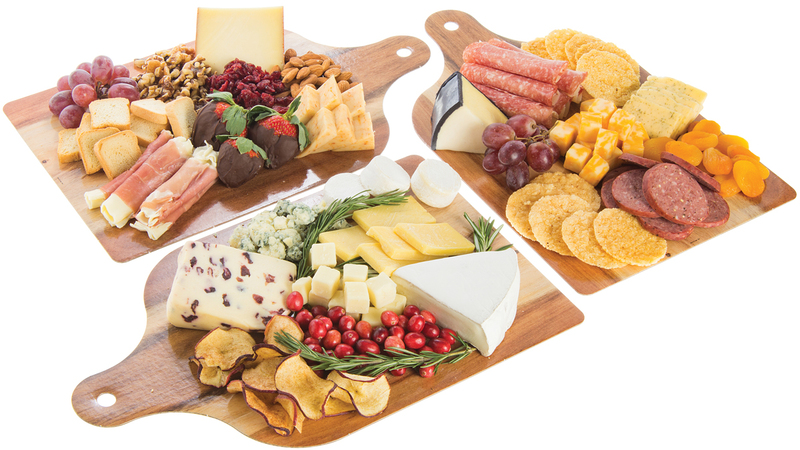 Showcase your options on these distinctive wood-look disposable bistro boards to create a sophisticated food experience. The disposable boards are made of eco-friendly recyclable cardboard that can be tossed into the recycling bin at the end of a busy day for quick and easy cleanup. Our market experts will work with you to assess your needs and provide suggestions for your sampling program. Contact us today at FoodRetail@hubert.com or call us at 1(800)543-7374 so we can discuss personalized solutions for all your sampling needs.